Welcome back to Little Novelist and I have another interview post today! An author I connected with over Instagram with the help if a mutual friend. 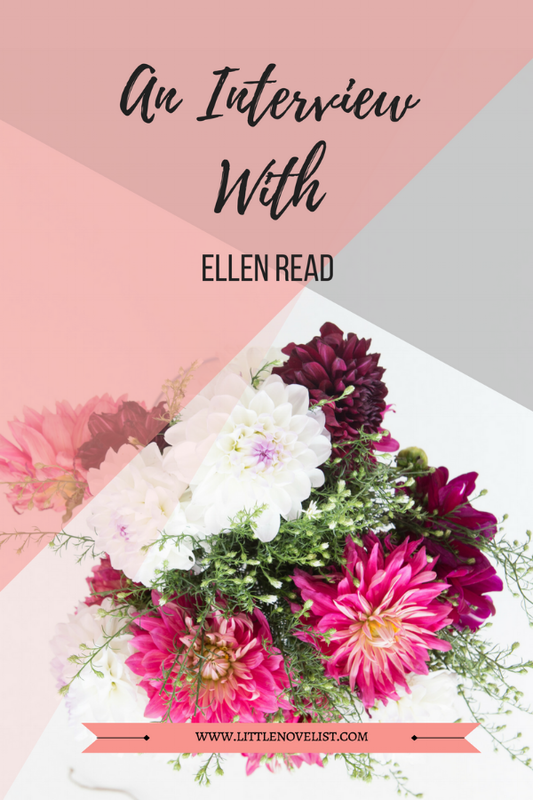 I am very happy to be able to bring you Ellen Read's answers! Hi Ellen, thank you for agreeing to this interview. I have the first in a trilogy published, and I’m writing the second at present. They ’re murder mysteries set in 1920s Australia, each with a new mystery but we follow the lives of the main characters. There is a love story in there too. After the third, I may keep the series going. The Dragon Sleeps has been likened to Agatha Christie’s style of books. I have another story, a historical drama, I’ve written, so I want to get back to editing it, too. My main character in The Dragon Sleeps is Alexandra Thornton. We catch up with her in 1927. She’s from a fabulously wealthy family who own gold mines and pastoral holdings. They’re also antique dealers and Alexandra wants to join the family business. In the 1920s, after the Great War (World War I) more opportunities were open to women but young ladies of Alexandra position in life didn’t work. She’s been studying the antique world behind her father’s back, with the help of the manager of Thornton Antiques. When she finally announces to her father that she wants to join the business, he is shocked but he’s a kind father and allows her to do it. When murder comes to Thornton Park, Alexandra decides to take a pro-active role in discovering whom the murderer is, even though it puts her own life in danger. As well as being kind and caring, she’s fearless and ahead of her time. This is my favourite romantic quote. Benedict Archer says this to Alexandra when they’re on the balcony at Thornton Park. They’d been looking at the starry sky and Benedict tells her he loves her. My ideas come from everywhere. Sometimes it may be something I’ve read. I might love a character in a book and think I’d love to write a character with that strength of purpose or that fragility. Sometimes, as with The Dragon Sleeps, I’ll see a house and think I have to write a story set around a house like that. Or I’ll read a historical fact and decide I can use that in a story. I start with a basic plot outline. I do a characterization of every character, including their backstory. Because my stories are mysteries, I have a sub-plot, which outlines everything the reader won’t at first discover. Then there are my historical notes. With all that done, I start writing and see where it takes me. It varies. I’d write seven days a week if I could but, realistically, I write four or five days. It doesn’t worry me if I can only write four days one week because I usually make it up the next week. I prefer mornings and early afternoons to write but again, I’m flexible. I aim for 1,500 words each day. If I manage more, which I usually do, then I ’m thrilled. I do a lot of research. My mystery books are historically set and I like to have all the background as realistic as possible. I research as much as I can, using books and the Internet if it’s a reliable source, and I like to visit the location. I take heaps of photos. I also like to buy books while I’m at the location, books about the town’s history written by people who live there. I’ve never had a major writer’s block. If I’m writing and I can’t think how to start the next chapter, for an example, I walk away from the computer, go into the garden or have a coffee. By the time I’m back at the desk, my thoughts have resolved themselves. I’m reading Beauty in Thorns by Australian author Kate Forsyth. It’s about the Pre-Raphalite artists and poets. I often read an ebook and a paperback at the same time. As well as this, I read research books. I’m ambivalent about it. I think it depends who you give a book too. I’ve done some giveaways and I haven’t heard from the person to say if they liked it or not, let alone give a review. Reviews are so important, even if they are only a few words. I’ve even given books away in exchange for a review that doesn’t eventuate. On the other hand, I’ve had it work. A lot of readers will do a review. There is also the goodwill side of things. Giving books away can help grow followers and fans. Yes, I do format my own book. I use Scrivener, which turns the manuscript into a mobi or epub version. I have had several careers. I was a ballroom dancing teacher for years. I’ve worked in the performing arts. Writing is the only one I want to pursue now. I have so many ideas for books. There’ll definitely be the second and third Thornton mystery. I have a first draft done for a historical saga. There’s also another historical mystery that I want to set in England. It’s not a murder mystery as such, like the ones I’m writing now. I think it’s advisable to join a writing group and to do at least a few courses on writing. The best advice is to keep writing. It will hone your skills. You can experiment with genres if you don’t have a clear idea what you want to write. Just keep writing.